Irontalon is the Owru Ambassador in the White City. While he misses the Great Jungle of Pirta, he’s in charge of an important task: taking back the Sacred Emblem to his people. There’s much more to the world of Oceanhorn 2: Knights of the Lost Realm than meets the eye, but that’s for you to discover upon the game release. 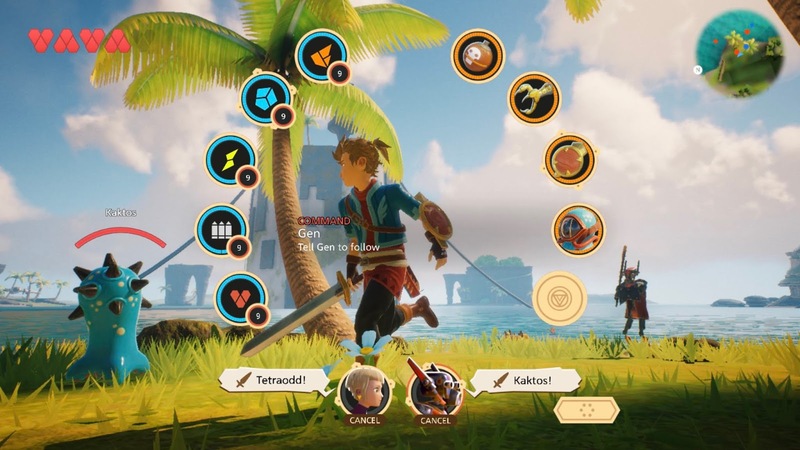 Hi all, a quick recap of the last few days – Oceanhorn 2: Knights of the Lost Realm will be part of Apple Arcade, and is confirmed in Fall 2019 for iPhone, iPad, Apple TV, and Mac. You can read more about Apple Arcade here. We’ll share additional updates as we go. We’d also like to take this opportunity to show you our brand new teaser trailer. Enjoy! The world of Gaia is living an era of unprecedented technological marvel, led by Arcadia, home of Archimedes and his engineering revolution. However, there’s a power hidden from regular folk and forgotten by many: magic. As you might guess, Fire will allow you to burn down wooden objects, destroy weak walls and inflict massive damages against vulnerable enemies. Ice can freeze enemies in place, or spawn floating ice rafts on the surface of the water. Lightning stuns enemies and is useful to power devices or solve electricity-based puzzles. Last but not least, when you’re running low on HP, the Health spell will allow Hero to recover some much-needed hearts. During the game, you’ll also be able to increase the efficacy of this weapon thanks to the Power-Up Shards that you’ll find as rewards from treasure chests scattered around the map. Once equipped, they will increase either Damage, Might (which influences duration and area of effect) or Charge (the cooldown) of the Caster Gun. 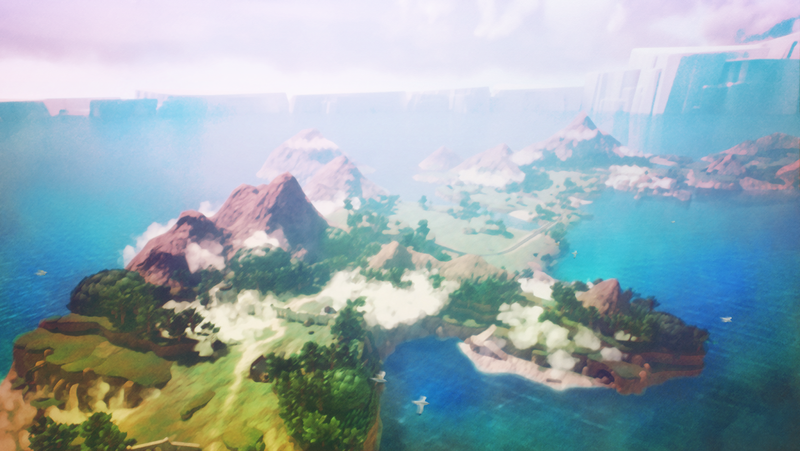 In Oceanhorn 2: Knights of the Lost Realm, we’ll take you to all the main regions of Gaia: Arcadia, Submeria and Pirta. One place you’ll get to know well is The White City, and today we’ll discuss its history and points of interest. The city, built by the sea, is an old settlement dating back to the savage wars waged in the name of Sol, Nieto, and Trito. While its feudal walls are ancient, most of the fortifications are of recent build, as is the new city center, developed above Archimedes’ modern masterpiece: the Grand Core. The city is divided into three main districts. Upper Town is where the high society and officers live. Before Archimedes’ arrival, the area hosted the Order for All Gods (aka the Mage Guild), whose building is now occupied by the headquarter of Genco Corporation and its automatons workforce. Genco is responsible for the production of appliances and technological artifacts, and as such, it basks in the approving gaze of the Grand Regent. Mages, instead, are banned from the city, and while magic is not explicitly ostracized, few feel comfortable coming forward as users. Upper Town also has access to the railroad, which pierces the town from both East and West. Lower Town, the area between the Trident fortifications, begins with Genco’s loading docks, through which most of the goods come in and leave the White City. The permanent market stalls are a popular attraction, both for visitors and regular citizens. A small slum has spawned not far from the market; despite the efforts of the Grand Regent, the White City cannot embrace all its children, and some less fortunate citizens are forced to seek shelter from the elements under its massive stone arches. Lower Town also used to be the religious district; now, only ruins remain, to remind everyone of the sins committed during the religious strifes of the past. Past Lower Town, a visitor would soon arrive at the doors of the Knights’ Order, the oldest building in town. The palace is one of the few that has maintained its original features, a sign of the importance that the Knights still maintain in Arcadia. The administrative district begins beyond the Order, with offices and business-related infrastructures, such as the airport and the hangars of the Living Fortresses. The entrance of the Grand Core is where the public space runs out, and the influence of Archimedes’ Palace, commanding the whole town from the White City’s center, becomes predominant. The White City, Arcadia’s Capital, is not only home to the Grand Regent Archimedes but also headquarter of the oldest military order of Gaia: the Knight’s Order. The Knights protect the Realm against external threats, serve as personal guard to the current ruler, and generally uphold the law and settle disputes. 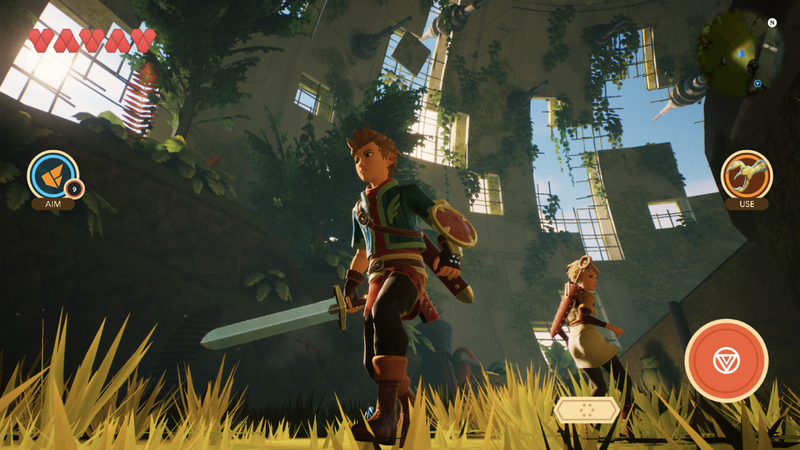 While there are more Knights scattered around Arcadia, today we’ll focus on the party you control – Hero, the fearless pilot Trin and the mysterious robot Gen.
A boy of unknown origin. Ever since he was a little lad, he was taught the way of the Knights by Master Mayfair, the celebrated warrior of the Direfolk War and Hero’s caretaker. Hero has grown up to be a seasoned swordsman, and there is little in the woods near Arne Village able to frighten him. 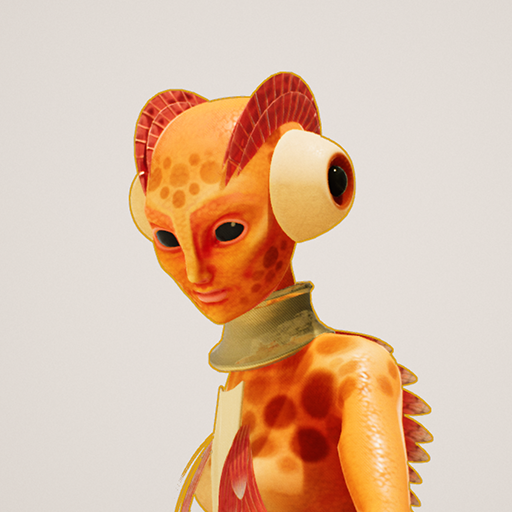 Granddaughter of Gran Regent Archimedes and his spouse Calliope, Trin is the accomplished pilot of the Yellow Bird, an Arcadian ship that has seen the thick of battle more than once. Secretly ashamed of her royal origins, she has been growing up amongst the ordinary citizens of the White City. She’s a good-hearted, opinionated young woman, with plenty of victories under her belt. 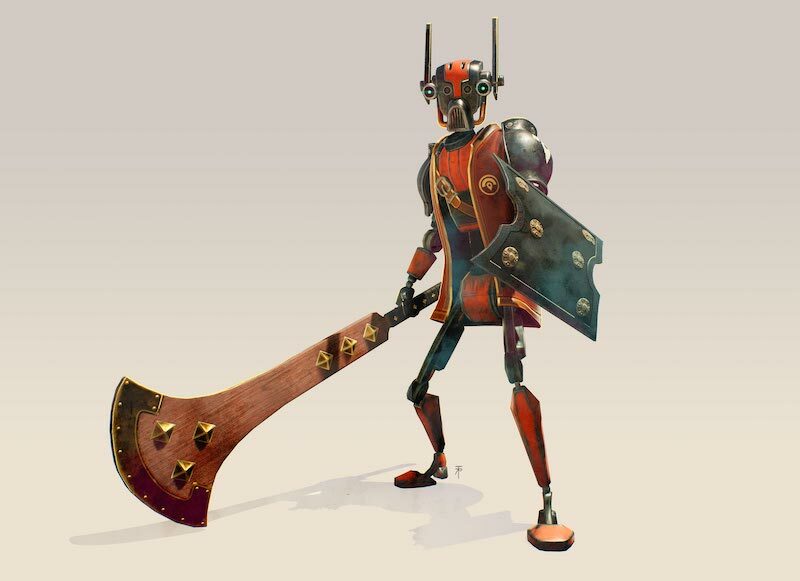 Gen is Master Mayfair’s automata comrade and Hero’s friend. He doesn’t shy away from playfully commenting on a situation, and wears clothes and armor over his steel limbs. His behavior and relationship with the old Knight suggest that the two have experienced many adventures together. Gen’s weapon of choice is a mighty battle oar, perfectly fitting his relentless, high-damage combat style. We’re running out of digital ink for today – stay tuned for more updates! Video games abide by this rule too – players need to know that the fate of the world depends on what they’re going to do next. 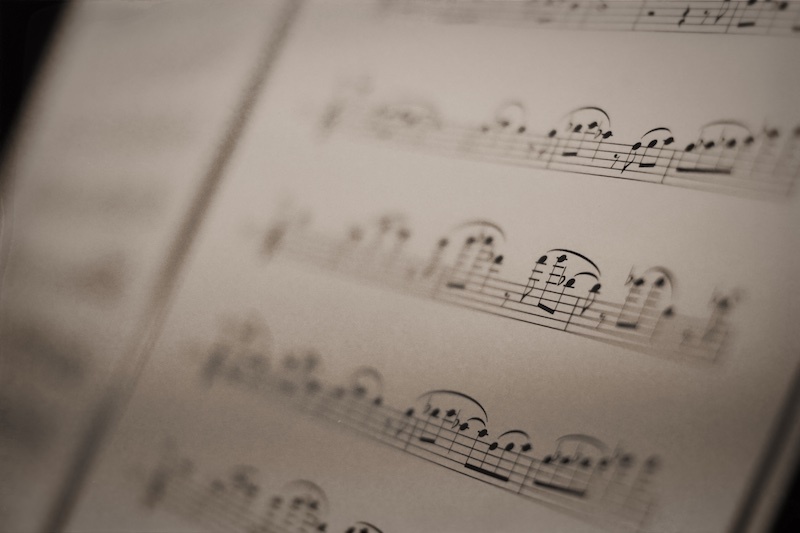 How we underline their actions, especially with music, has big repercussions on the feelings a game can evoke. 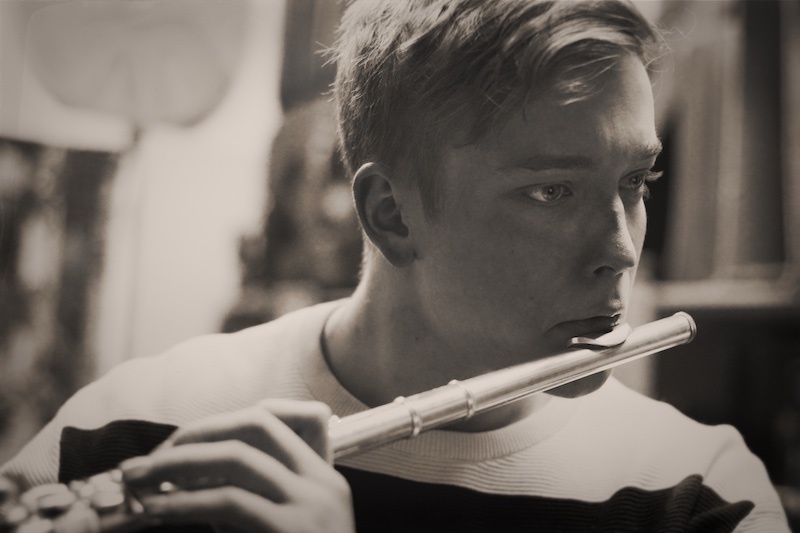 Along with Arttu (Flute, Piccolo, Alto Flute), the game’s score features Lauri Sallinen (Clarinet, Bass clarinet), Sanna Niemikunnas (Oboe, English horn), Rista Tuura (Violin), Anna Grundström (Cello), and József Hárs (Horn). 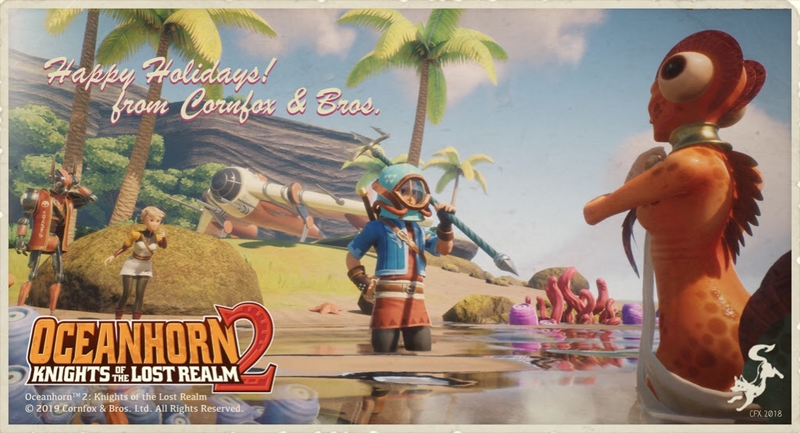 Oceanhorn 2 will feature underwater areas and with Diving Helmet item you’ll be able to go for a treasure hunt in the depths, or just enjoy and explore the subnautical scenery! We can’t wait to tell you more about diving and other features, but it is soon time to say goodbye to a brilliant and beautiful 2018 and welcome the new year with open arms. We know, we know – there hasn’t been a blog update in a long time, but we’re making up for it! Today marks the 5th anniversary of Oceanhorn first launch on iOS, the perfect occasion for a few things. First of all, we’d like to say ‘thank you’ to our incredible community – over the years and for each platform release we’ve seen an incredible amount of passion and support for the world we created. We wouldn’t be here without you, and we’ll always keep that in mind. It’s also an excellent time to talk about Oceanhorn 2: Knights of the Lost Realm. The game is coming along great, and we’re confident it will be worth the wait! We are targeting 2019 for the announced iOS release. Over the next few months we’ll have updates on various aspects of the game, but for now, you can feast your eyes on the brand new Oceanhorn website we are launching today. 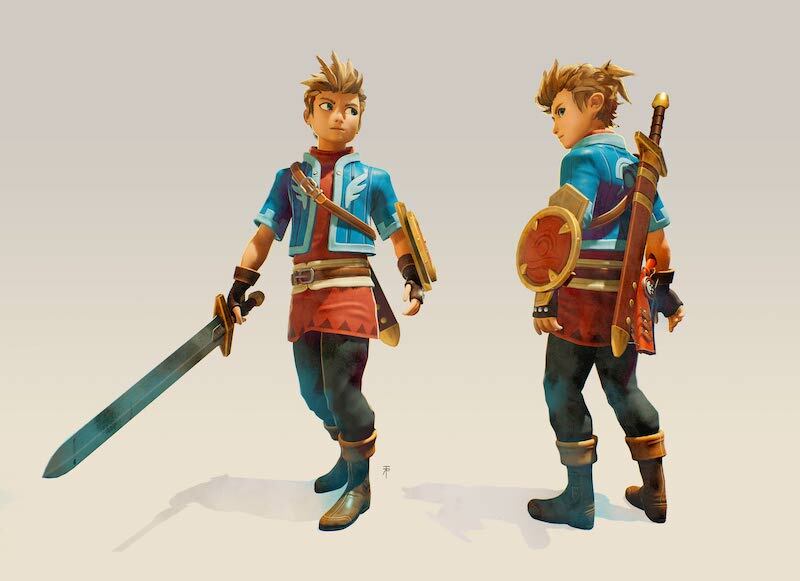 It features never-before-seen screenshots and info about Oceanhorn 2, with more to come. If you’d like to cover the game in one of your channels, head to the Press page and download our Press Kit. Oh, one last thing: we’re also setting up an Oceanhorn newsletter, where we plan to send updates on the game before they become public and celebrate the fifth anniversary this whole year in one way or another. 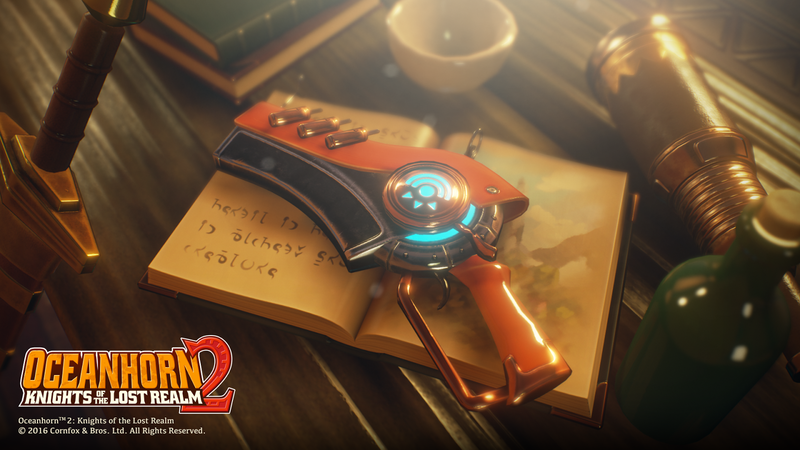 If you want to be the first to know what we are up to, make sure you sign up on oceanhorn.com homepage! 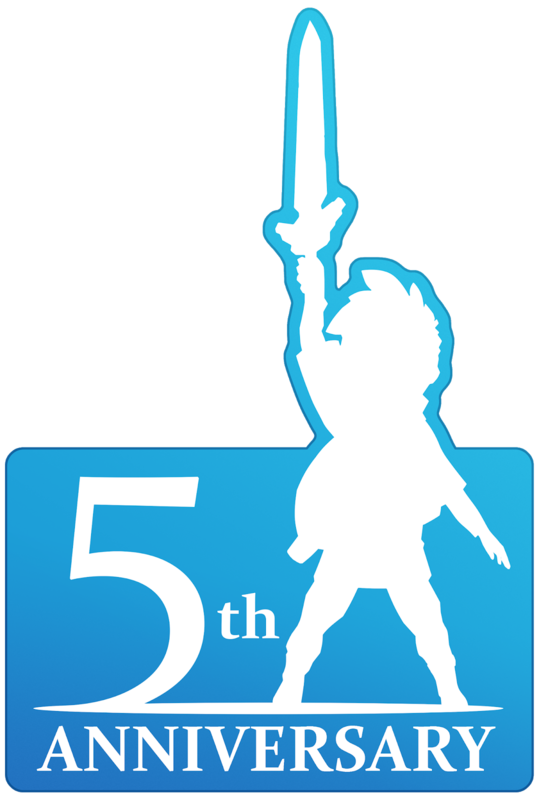 Oceanhorn 5th Anniversary label! Let’s celebrate the whole year! Come and play Oceanhorn 2 at GDC 18! This year we travelled to a (not so) sunny San Francisco on Epic Games’ invitation to show Oceanhorn 2 at the Unreal Engine venue at GDC 18. What an amazing opportunity! We prepared a great demo to show at the expo, so if you’re an Oceanhorn fan, make sure to drop by and play the latest build of our game. 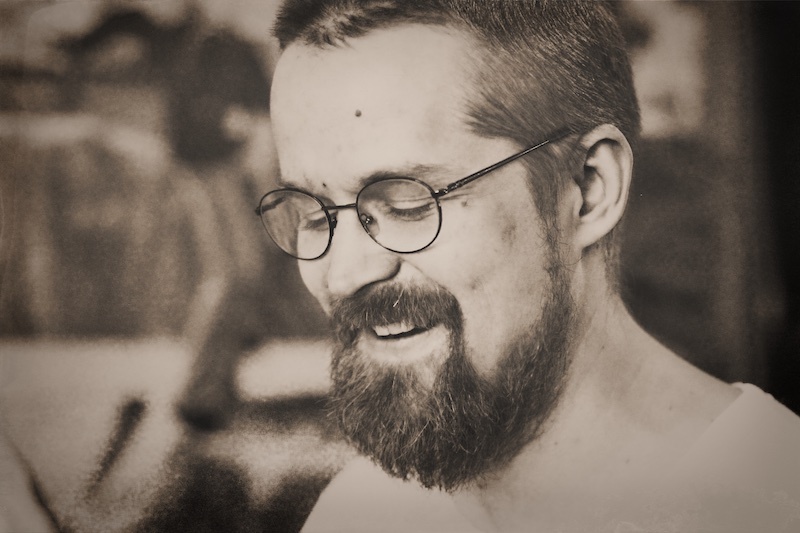 You will also meet us, the developers, and have a chat! Look at that! Our latest demo takes you to the Great Jungle of Pirta, where the Owru nation is divided by an old grudge. 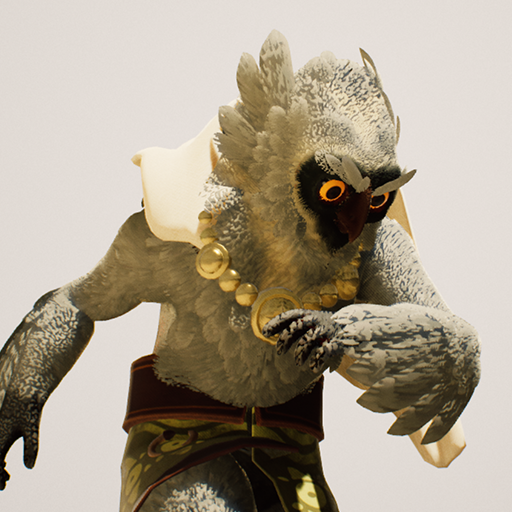 Will our heroes be able to unite the owrus and get them to join the fight against Mesmeroth’s Dark Army. Yes, I said heroes! 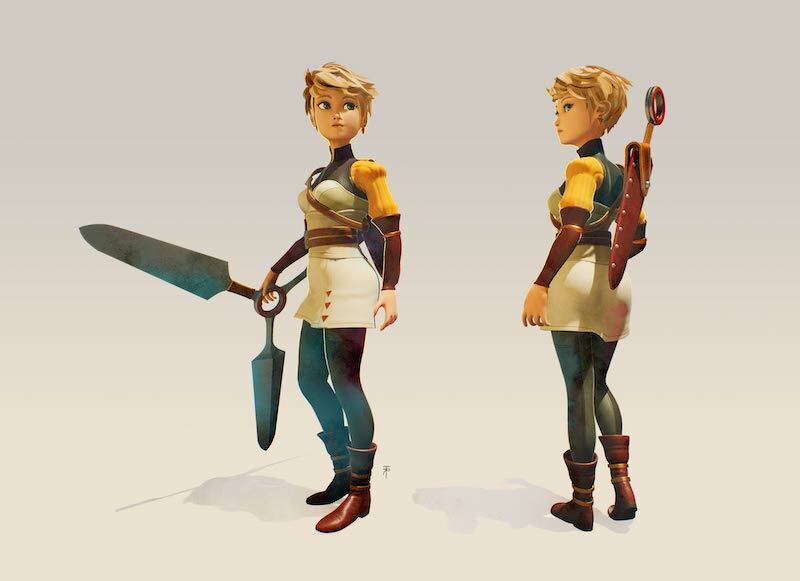 One of the defining features of Oceanhorn 2 is the party members, who will be on your side through the adventure. Trin, the granddaughter of Arcadia’s leader Archimedes and Gen, a mysterious robot wielding an old samurai weapon eki. The game is still far from being finished, but it will be worth the wait! We hope to bring you more updates in the future, along with some video teasers to give you a real good look at the game! Productions like this require a lot of time and effort, but the outcome will be a cool video game so it is all worth the trouble! 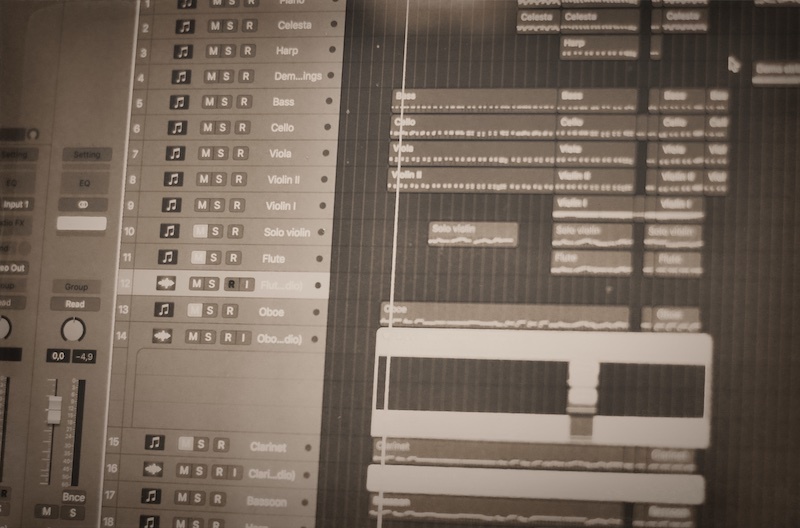 When you are making your dream project, you don’t count the hours. What brings you to OceanHorn Guide? Oceanhornguide.com is a fansite for the game Oceanhorn: Monsters of the Uncharted Seas. This project was created by Donny Garner who goes by Skye Pie on the internet. Thanks for the support! Copyright Oceanhorn Guide. Skye Pie Network. All Rights Reserved.